BBC scientist-at-large Brian Cox claims that the lack of any paranormal activity at the Large Hadron Collider (LHC) “proves” that ghosts are a ‘fake news’ phenomenon. If we want some sort of pattern that carries information about our living cells to persist then we must specify precisely what medium carries that pattern and how it interacts with the matter particles out of which our bodies are made. We must, in other words, invent an extension to the Standard Model of Particle Physics that has escaped detection at the Large Hadron Collider. That’s almost inconceivable at the energy scales typical of the particle interactions in our bodies. What Cox is saying is that there is no evidence of a medium in which our cells could carry on after death has occurred. Cox’s point relies heavily on the LHC’s ability to pick up the tiniest bursts of energy found in particle collisions. That mean that any energy signatures from paranormal entities should be easy to detect. Thus far, no such evidence has been found. This is despite numerous eyewitness accounts from people from all around the globe reporting on ghostly encounters as well as scientists capturing ghosts on camera and claiming they are real. Could it be that hundreds of years worth of ghost stories are simply the result of people’s over active imaginations? 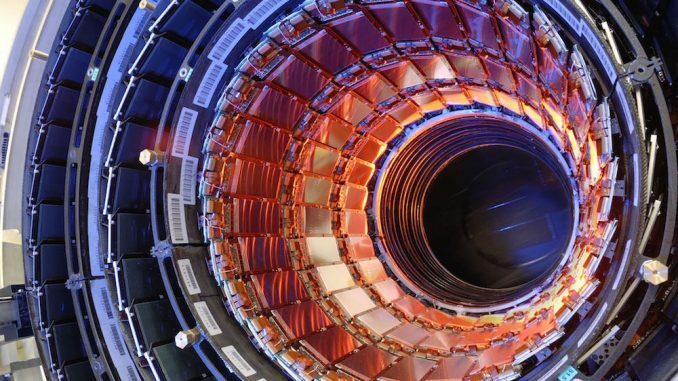 Has the LHC finally closed the book on anything deemed ‘paranormal’?